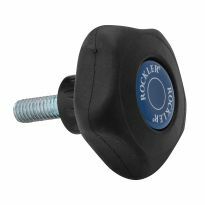 Designed for the ultimate in comfort with no sharp edges or annoying seams—the most comfortable jig knob you'll ever use. With their smooth, rounded contours, top-quality materials and proprietary rubber overmolds that wrap beneath the perimeter to eliminate sharp edges and seams, our Easy-to-Grip Knobs are hands-down the most comfortable jig knobs we've ever used. 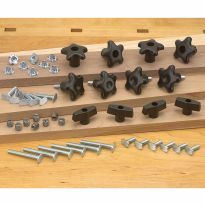 Use them on jigs, fixtures, router tables, drill presses and more. The rounded shaft beneath the star knob leaves plenty of clearance for your fingers, and curves up smoothly to meet the knob. They truly must be felt to be appreciated—''luxurious'' is not an overstatement. Try them out for yourself—you'll get more torque with less effort, and your hands will thank you for it. Ultra-durable construction with comfortably molded gussets. 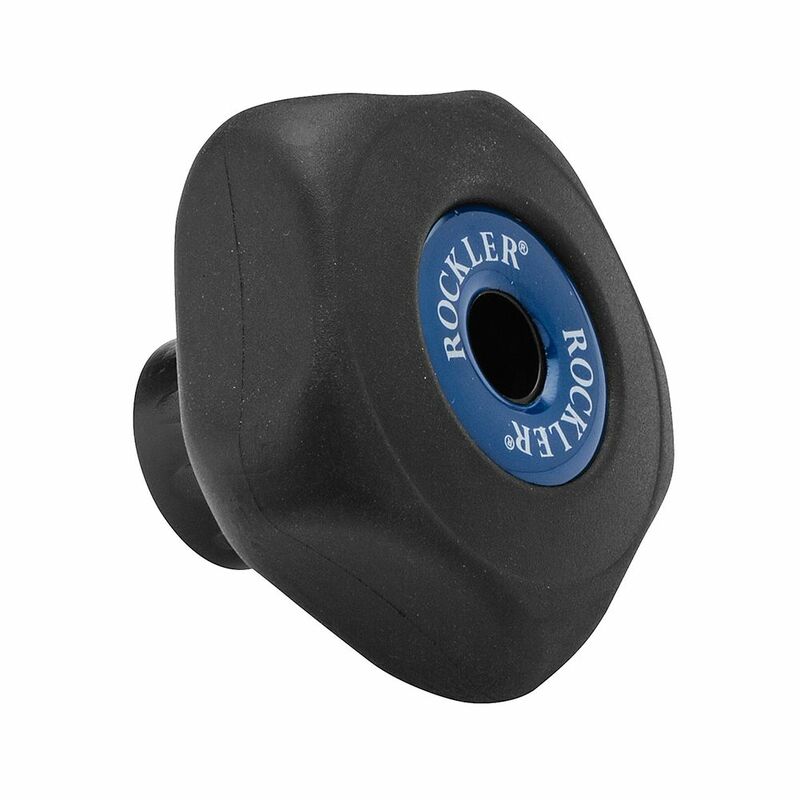 Zero sharp edges—rubber overmold extends beneath the knob for total comfort and easy tightening. This knob is the best knob I have found to easy gripping on my table saw jigs. Love it. I tried several others on my Router adjustable Trammel and ended up loving this one. I'll use this same knob on most of my shop made jigs unless the use is for a smaller knob. So thank you for letting me use your website. Great knob, did my project good. Came as expected. Very solid product and is working perfectly for my application. Ordered a pair of these, received them quickly and I could not be more pleased with their quality. They are crafted of durable materials that not only work well, they feel great in the hand! No rough edges, perfection! 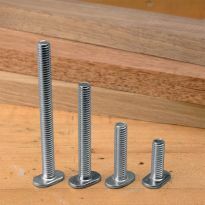 We use these daily on our flat table cnc with t-track. We have user the plastic version in the past but after trying these we will use only this type from now on. A very nice knob. 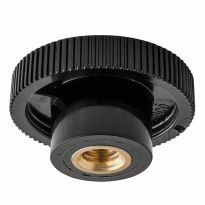 If you're looking to have a nicer knob instead of the standard cheap plastic ones, this is it. These are great...a little on the pricey side..but worth it If you use them on something you will be tightening and un-tightening a lot. 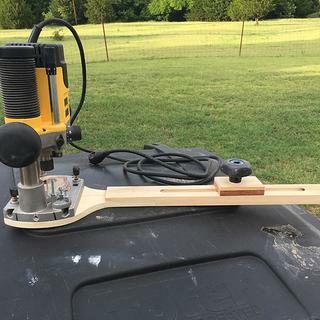 I use the two I bought to adjust my hand made router fence. It was a pain with the old knobs because they would slip. These do not budge with minimum pressure. Easy on and off work well for repetitive clamping applications where a decent amount of holding power is needed. Exactly what I was looking for. I really like these, especially for me as I am older. Easy to get a firm grip. Would recommend ! 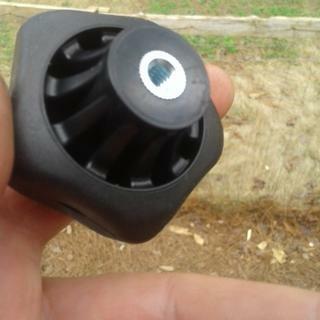 Ordered this to replace a small 5 star plastic knob and glad I did. Fits my hand better and I have greater control. It is rubberized which makes it warmer and it sticks in my palm - allows more pressure if required for someone with big hands! Works well for my purposes. 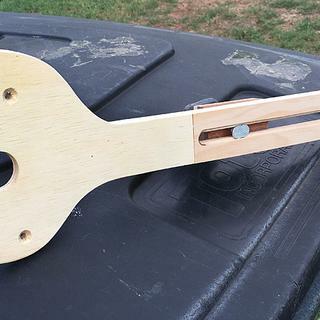 Got this to make a jig with and it worked for its intended purpose. If you're building a t track system this is the right knob! Perfect for my t track stop block on my new miter saw station! Quick and smooth transitions from one measurement to the next. 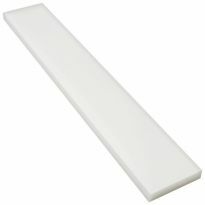 Soft rubber grip makes for 100% comfort when making several cut lengths on one job. I bought (2) of these for a router table fence I have. They work great. Good quality and have a nice soft feel to them. They have rounded edges just as the picture shows and are big enough for good firm grim. You can really crank them down tight if you need to very easily. The female threading was done correctly so no problem there. used it to replace locking T on bench dog featherboard. works better than the original. A little big for my purposes, but great quality and easy to grip. Easy to Grip knobs are just as they are advertised, Great product. Best jig knobs I have ever used. Very comfortable. Really great for those of us with arthritis. The knobs were exactly what I needed for this project they hold the rack solidly and are easy to grip for assembly. I used these knobs on a display rack that my daughter uses for craft shows. The knobs are easy to grip and hold the rack tight. My daughter loves them. I used these to secure a motorcycle wheel chock to a trailer. These are very rugged knobs. My hands are getting old, I need knobs I can grip without pain. Used this before and needed more for a new project. always looking for ways to use t track systems ... Just picking up extra parts. 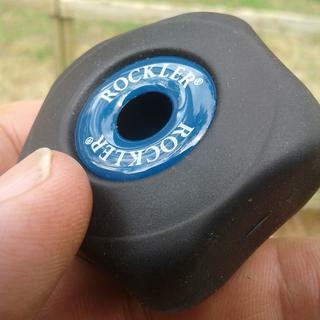 I have several of these older ones for my 5/16" T-Track and I needed some in 1/4" for my feather board on my Rockler router table (made by Jessem) fence that I purchased at the Rockler store in Cleveland Ohio nearly 15 years ago and still love!! 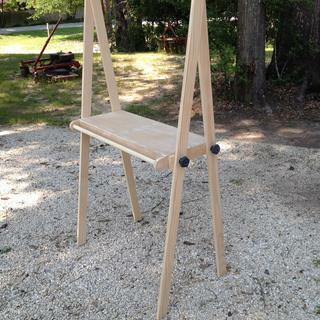 I am making a motorcycle stand. Will be easier to use these knobs, rather than a nut which would require a wrench to tighten. only $0.50 more than the 4 star knobs and appeared easier to use. It fits the bolts I am using in the T-Track and looks like it will provide a comfortable grip for tightening. Called for by a set of plans. For use with jig used to cut segments. 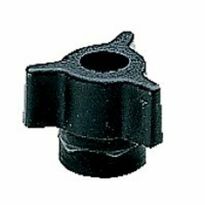 These knobs are very comfortable and are priced about the same as the hard and sharp knobs. 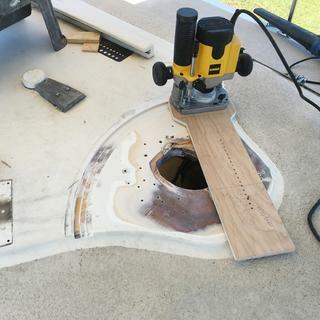 These knobs will make it very easy to loosen and tighten a bracket that will be mounted on my boat. Very good reviews and seems to be exactly what I need to complete an automotive project. Making a jig and these knobs fit the job. Use them in several areas of my workshop successfully over the years. For my drill press table. They are god looking and do the job - control. Great choice for custom jigs and easy to grip. kayak project, really wants to find a stainless steel t-bolt. but this will. What is the size of the knob itself (longest radius or diameter)? BEST ANSWER: The pentagonal knob will pass through a diameter of 2 5/16"
There are three sizes of a knob. 1/4 - 20, 5/16-18 and 3/8-16. Have a nice day. It's about 2" in diameter. 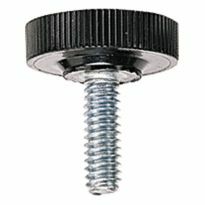 What is the material of the threaded insert in PN51036 knob? 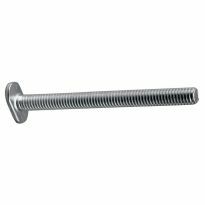 Need to size T-Bolt length. What is thickness of 5/16-18 knob? BEST ANSWER: I used the thickness of the two legs that I fastened together + the washers + 3/4" for knob thickness. I have a material list that calls for 1) 1/4"x3/4" threaded round knobs, 2) 5/16" plastic t-knobs, 3) 5/16"x3 1/4" threaded star knobs. Could you match up with your stock? I will need #1(7), #2(3), #3(4), Thank You. The project is a saw panel.